Kodak Black, who was arrested during a home raid back in January, has officially been sentenced on gun and marijuana possession-related charges. The rapper, who has been keeping busy working on completing his GED while behind bars, has been sentenced to serve 364 days in jail. According to reports, the Florida native has the opportunity to get out early for good behavior, as well as has already served 90 days, part of which was in solitary. Because of this, Kodak could be freed as early as mid-September. 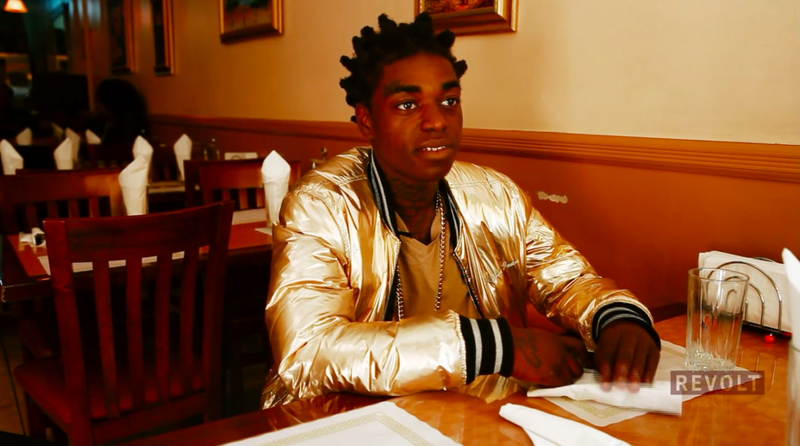 Kodak was originally seeing almost half a dozen felony charges stemming from the Instagram Live incident that led to his arrest, but majority were dropped, save for two charges of possession of a weapon by a felon and possession of cannabis, the latter of which he entered a not-guilty plea for. Taking to Instagram, the rapper has issued a statement, thanking God, his supporters and his legal team, even citing how he felt the judiciary process was fair. "First and foremost I want to thank the lord for this blessing is disguise which was sending me back to jail January 18 2018 #1800," he wrote. "Second I want to thank the lord again for using my advocate Bradford Cohen as an instrument to speak through him and work diligently on my behalf. I would also like to thank Brad for seeing me as more than a client and for looking out for me as one of his family members. Last but not least I would like to thank the judge( Michael Lynch) and the prosecutor Michelle Boutros for giving me a fair deliberation and not over looking me and judging as the media and the nay sayers set me out to be #1k #dietolive #HBK"
Per reports, Kodak entered an open plea to probation violation charges of driving with a suspended license and associating with people engaged in criminal activity. Additionally, once he is released from jail, he reportedly will be off probation. See Kodak Black's statement on the matter, below.